So…funny story. Several years I ago I sat next to K.M. Walton at the NY SCBWI Writer’s Intensive. It was my second table of the day and we were right next to each other–unpublished, eager, sponges–looking for a way to get noticed or take our writing to the next level. We each read our page and a half of text and got our critiques. After the event was over, we stayed at the table to talk for a couple of minutes, admiring each other’s writing. Fast forward to 2011 when I sold TOUCHING THE SURFACE to Simon Pulse, an imprint of Simon & Schuster. Who do I discover is also a brand new, soon to be debut author with me? You guessed it (but in all honesty I made it easy) it was K. M. Walton. Both of our manuscripts from the Intensives were going to be published to the same imprint LOL! 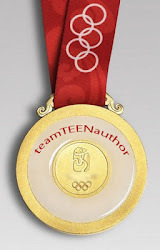 That wonderful manuscript that I got a sneak peek at that day sooooo long ago has turned into the YA novel CRACKED. Victor hates his life. He’s relentlessly bullied at school and his parents ridicule him for not being perfect. He’s tired of being weak, so he takes a bottle of his mother’s sleeping pills — only to wake up in the hospital. Bull is angry, and takes all of his rage out on Victor. He’s the opposite of weak. And he’s tired of his grandfather’s drunken beatings, so he tries to defend himself with a loaded gun. Bullying is a pervasive issue in our society today and more people need to be reading a book like this. Why? What makes this one special? I have a few reasons why I think this is a stand out. 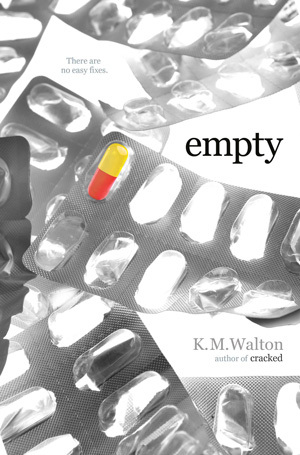 But first, I’ll be honest with you… K. M. Walton is a friend, an Apocalypsie and a fellow author at Simon Pulse. I sort of wish this wasn’t true because there will be many people that assume that my respect and love for CRACKED is influenced by those connections. I’d like to take a moment to convince you why this isn’t true. 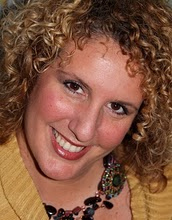 In the past I’ve been a special education teacher that specialized in children with emotional and behavioral issues. My father was a counselor in a maximum security prison. The first year I taught I can remember coming home and asking my dad…”Where is the line?” He looked at me funny, wanting to know what line I was talking about. Then I explained that the children I worked with were obviously victims. Their issues were clearly connected to the things that had happened to them in their lives. But what I wanted to know was if they couldn’t be helped, what day would they stop being victims and what day would they start to be bullies, offenders, abusers, prisoners? Suddenly everything was a blur to me. When might these children go from being someone I loved and wanted to help to being someone who might turn around to someone else and do the same things that were done to them? This thought and these children have weighed heavy on my heart all my life. K.M. Walton doesn’t give me the ultimate answer to this bigger than life problem, but she throws ropes to her readers–giving them something to hold on to. More important, she raises question and she does it will great skill. I don’t think any one book or one person can give us the answers to such a large hole in humanity, but this is the kind of book that asks us to dig deeper as readers. It is a book that crakes creates sparks–the hope of illumination. It renews the fire within me to make the world a better, safer place–to stand up and have a voice. It helps me to put the people around me into perspective, so I can better navigate those who hurt. Because bullying doesn’t happen to just children. It reminds me that the world is not black and white–but grey–full of shades of truth that blur the lines between right and wrong, good and bad and ultimately life or death. K.M. Walton is the oldest of four girls and her three younger sisters are her best friends. Gag, right? But she’s serious. She openly challenges you to challenge her sisters’ awesomeness because there’s no way you’d win. She has a mom, who is her other best friend. More gagging. Again, she says there isn’t a better (or cooler, or smarter, or more beautiful – inside and out) mom on this entire planet. K. M. apologizes to anyone reading this that thinks their mother is the best mother on the planet – she says it’s not possible for two women to hold the title, and her mom wins. So there. She had a dad, a really smart and gentle dad who loved her the best way he knew how, but he passed away from cancer when he was only 51. Ouch. K. M. wants anyone out there reading her bio to know one thing: Love the people you love while you have them here – even when it’s hard to love them – because when they’re gone all you have left are memories. And you can’t hug a memory. She’s also got this totally hot and totally cool husband that is, in every sense of the idea, her better half. She met him when she was 19; he was her next door neighbor in the dorm. Her stomach got all squishy when she first laid eyes on him and she announced to all of her girlfriends, in a rather dramatic fashion, “No one else can like Todd from down the hall because I like him, and I’m making him my boyfriend this semester.” Her friends all abided by her request. And she did make him her boyfriend; they’ve been together ever since. For the record, just so everyone knows, she’s still in love with him and it’s been 24 years since the day they met. Awesome, eh? She has two sons who, you guessed it, are the best two kids in the world. Yep, another challenge. They are thoughtful and kind, genuine and funny, brilliant and creative, and she swears she couldn’t be more proud of how they are turning out. K. M. had a dream when she was a little girl. Actually she had a gazillion dreams and she spent a large amount of her childhood dreaming. Her one dream was to be a teacher. Her three sisters – the same awesome chicks from the first paragraph – played her “students” in the basement while she played teacher. And they still like her even after that. Teaching became a reality for K. M. and she taught for twelve glorious and spectacular years – some of it in Osteen, Florida and most of it in Springfield, Pennsylvania (Hi, Osteen Elementary and ETR Middle School!!). 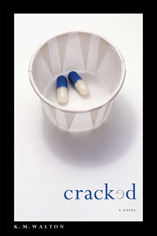 Have you read CRACKED? Any other great books on bullying that you loved and think are important? Have you been bullied? How did you handle it? Are you being bullied and need help?